At Rotation Industries, we strive to give our customers complete satisfaction. That includes advising our customers with fitment, warranty, and product knowledge, before the purchase. This ensures there are no surprises when our customers receive their products. Rotation will not only be with you through the entire order process, but is also happy to provide service after the sale. Many "Big Box" companies leave the customer feeling unimportant, but at Rotation, we will treat you like family and ensure your utmost satisfaction. We trust our business to run off referrals and word-of-mouth advertising because we are confident in the products and services we provide. Every order is inspected before shipment by Don, the President of Rotation Industries. So rest assured, our products are thoroughly inspected before the customer takes delivery. This says a lot about our small business, as we take pride in being a family owned and operated corporation. 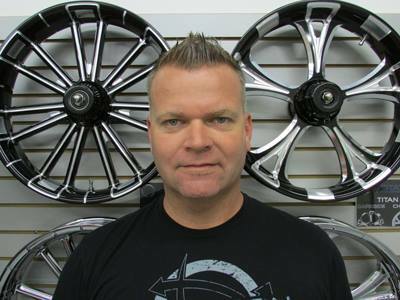 As Rotation specializes in custom motorcycle wheels, our customers are typically blue-collar, small business people themselves. So our customers appreciate the time we take to make sure every sale goes smoothly. Rotation Industries is located in the Space Coast area of Florida, in Merritt Island. For those that don't know where that is, we are a couple minutes from Cocoa Beach, or about 50 minutes south of Daytona on 1-95. We are proud to be located in the Space Coast, and in the heart of some the best riding areas in Florida. On your next trip to Florida, make sure to stop bye and say hello, we would be happy to show you around the shop. Don Smith - President Don has been around motorcycles his entire life. At age 11, he had his first motorcycle, a 1966 Honda 305, and he's been hooked ever since. Don has made a career in the motorcycle industry, most recently working as a dealer manager for Coastal Moto. This is where he learned the in's and out's of the custom motorcycle wheel business. Previous to Coastal Moto, he worked for J&P Cycles, where he received a wealth of knowledge about aftermarket motorcycle parts. Don grew up in the Midwest in a rural community by Manchester Iowa. His Midwestern roots have provided a great base for his business principles and customer interactions. David Whitmer - Dealer Development David handles our dealer accounts from setup to order completion and everything in between. 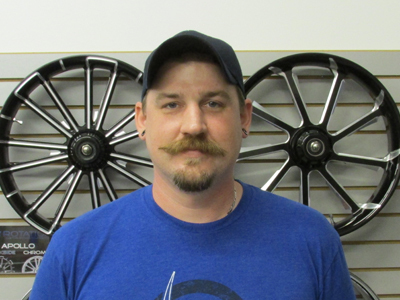 He has years of customer service and leadership experience to further support our dealer business and provide the best possible customer service. David also received his certifications from Motorcycles Mechanics Institute in Orlando to help with our technical support team. Rotation's Dealers are very valuable to Rotation Industries and are located across the world. So talk to your local dealer, if they are not set up with Rotation, tell them to call David today! Randy Smith - Sales & Support You may begin to notice a trend in the names.... Randy is Don's brother, and is a tremendous asset in the sales and customer service component. 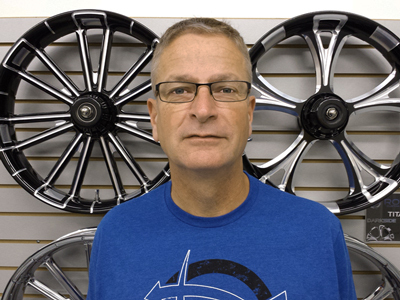 Randy has previously been in the logistics and sales field, with experience at over 35 years. He has been working bike events for years, and loves visiting with the vast people who visit Florida. Randy was also a business owner himself, and provides great feedback for growth opportunities, marketing strategy, and outstanding customer service. 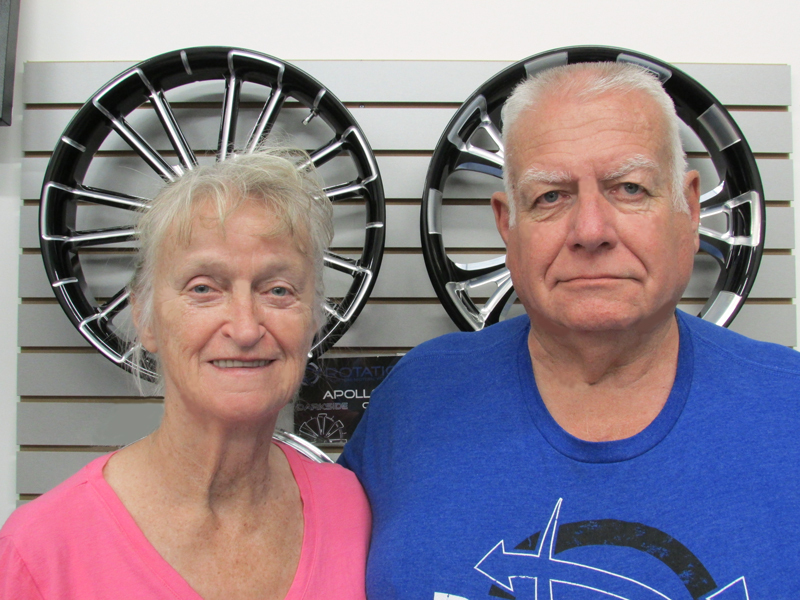 Eric & Shelia Smith - Corporate Strategy Eric Smith, Don's father, passed away in 2016 on his way to the office. He owned a small trucking company for many years and continues to provide corporate direction and long term strategy through everything he taught Don. Shelia Smith, Don's mother, is a banker and handles the financial aspect of the business. Makes sense, right? Shelia also provides ongoing corporate strategy and direction for Rotation. Together they have over 100 years of business experience! There are many other family members who lend their support to Team Rotation. Abbie Smith, Don's niece, provides marketing and web design expertise, along with apparel design and dealer networking. Lastly, and certainly not least, Don's wife, Kim Smith. The "better half" is involved in every aspect of the company, from designing wheels to what size t-shirts to order. She is an indispensable asset here at Rotation Industries. Our customers are the most important piece of our business. We treat every customer as if you are family. Being a small business, Rotation needs the support of our customers to help advertise our products. Whether that is wearing one of our t-shirts, or passing out a business card at the local watering hole. This is why we strive to have 100% customer satisfaction!